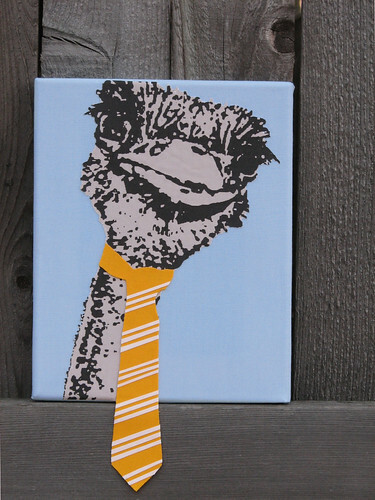 This fabric canvas features an ostrich dressed and ready for the 9 - 5. His tie extends past the end of canvas and is made of cotton with hand cut stripes. 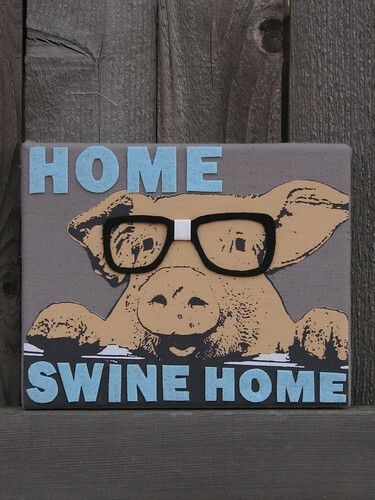 This fabric canvas features a lovable nerd-pig waiting patiently to welcome you home! Glasses and text are made from eco-friendly felt created from recycled plastic bottles.